During this technological age, the intense rate of information is exchanged has almost everyone attached to their devices. With just one swipe of your finger, you can access your financials, stay abreast to Current Affairs, check your email, update your statuses, or even go cyber shopping! 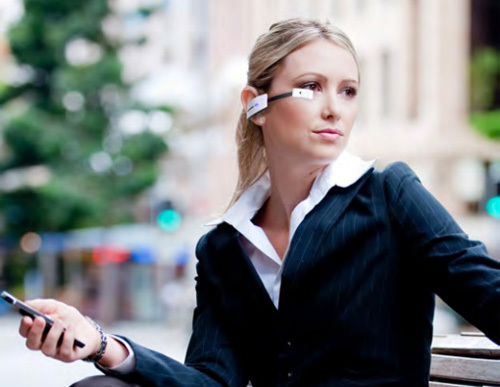 Designers have taken smart devices a step further to have you more attached to your devices (literally) -Wearable Technology! USBs are the most common giveaways for trade shows. Those little babies can hold hundreds of important files. But what happens if you misplace that tiny, yet critical resource? 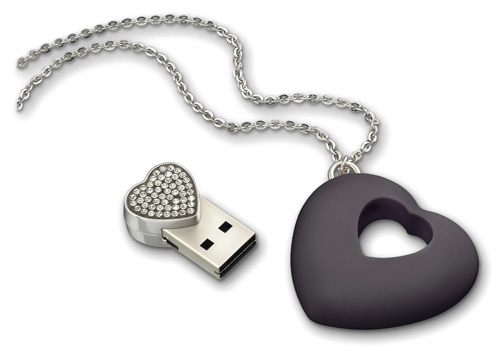 Swarovski has bling’d the standard storage device by adding a line extension of a crystal-studded 4GB USB necklace. Wearing your work on your neck never looked so sophisticated and classy! This techie piece of jewelery goes for $75.00 and is available in black, violet, and light rose. Geeky T-Shirts aren’t exactly a new thing, throw in some coding and batteries and you will be the human version of the Energizer bunny. For a long time, it was assumed that people would have to be stationed and wired into machines for medical personnel to monitor their vitals. But what happens to soldiers that are on the field? How are medical officials able to measure their vitals when they are on the battleground? In a Navy funded research, Georgia Tech DR. Sundaresan Jayaraman and Sumgmee Park designed the Smart Shirt. The Smart Shirt is wired with optical fibers with sensors woven into the design of the shirt to monitor the heat-rate, breathing, respiration, body temperature, and a host of vital functions. The data is transmitted to a military base allowing medical practitioners to evaluate the soldiers health remotely. Another kind of interactive shirt is one that makes sound upon touch -The electronic drum kit shirt has 7 areas that generates sound with a simple touch. For the active exercisers, the Nike + FuelBand tracks your daily exercise and the amount of calories burnt while exercising. For everyday activity, a LED light will light up to show your progress. You can set goals and view a detailed progress report and then share with your social networks via its iPhone app capability. 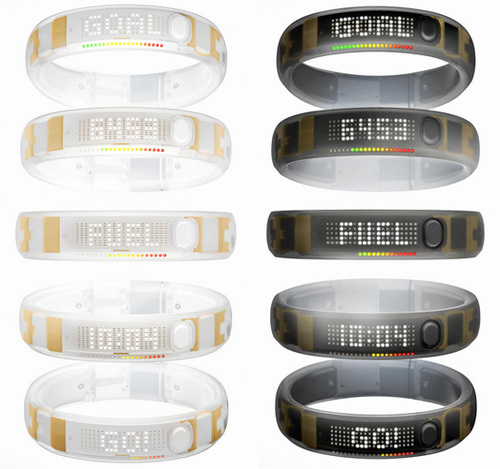 The Nike+ FuelBand goes for approximately $149.00 and it is a smart fun, and simple way to remain active. Pick-pocketers are out and about waiting for the opportunity to make a move on your pockets and bags. iWallet is definitely a game-changer that will definitely give these thieves a run for their money -No pun intended. Designed with sturdy casing, biometric access, and Bluetooth technology, if the iWallet or your phone is too far apart from one another (10-15 ft) your phone will sound, notifying you of a pickpocket’s failed attempt or helping you locate the misplaced device. Prices are in the higher range of $459 – $599 and re available in carbon fibre with an aluminum shell. It’s time to say goodbye to those pestering tangled earphones. 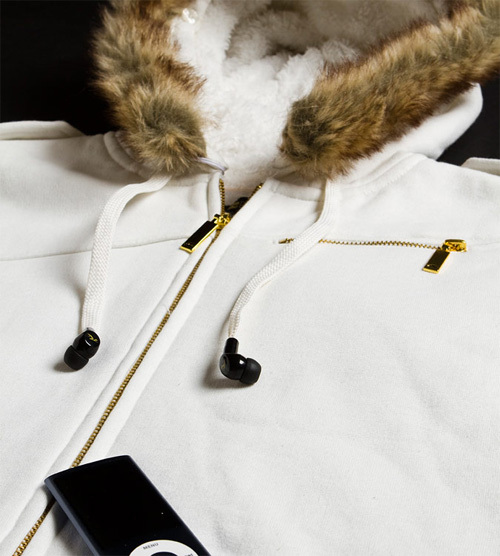 Rusty has come up with a hoody where the drawstrings are earphones! To plug your music device in, there is a jack in one of the pockets where you can connect your MP3 or Smartphone allowing you to Jam in a seamless manner. …And get this, the earphones are machine washable so you don’t need to worry about water damage or going through the hassle of removing them and putting them back in. Similar to the USB necklace, these cufflinks provide a professional look. 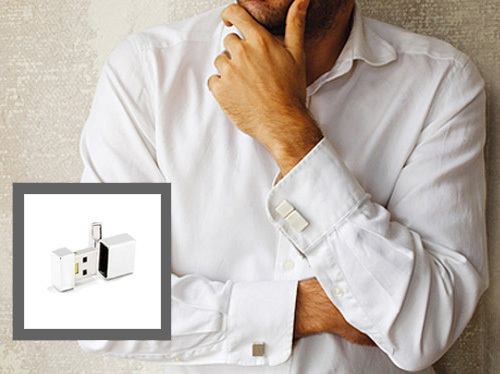 Each cufflink holds 2GB of storage and is available in gold and gunmetal. To personalize this even further, for only $8.00, you can add a monogram for up to 8 characters. 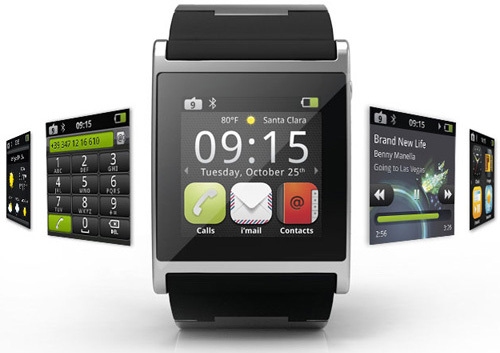 The I’m Watch is one of the many Smartwatches out in the industry. It’s main differentiator’s is that SmartWatch has its own market of apps. It connects to your smart phone via Bluetooth and once it is connected, you can receive the same notifications, emails, text messages, phone calls on your watch. This watch is touchscreen and can act as a hands-free device due to its built in microphone -No need to risk getting a ticket for talking/ texting and driving. These watches go for about $400 and are available in seven colors. All of the wonders of the worlds are within an arms reach with I’m Watch! Atheletes (along with their coaches) are always looking to improve their performance. Nike Hyperdunk + allows basketball players to monitor their speed, jump height, and overall game performance. 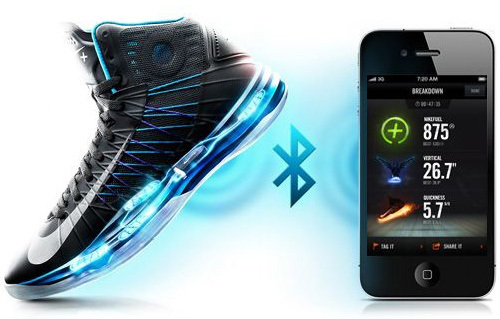 There are sensors in the shoe that transmit data to your smartphone via Bluetooth. There is also a capability allowing you to record videos of certain plays to later study. So next time while you are waiting on line for the newest Jordan’s to release, consider picking up a Hyperdunk+ to improve your performance and really dunk on your opponents. Yes, you read that correctly -Smart Band-Aids! This is one of the most popular medical devices thus far. Who would have thought that one can add an innovative twist to a strip that heals our cuts and burns? 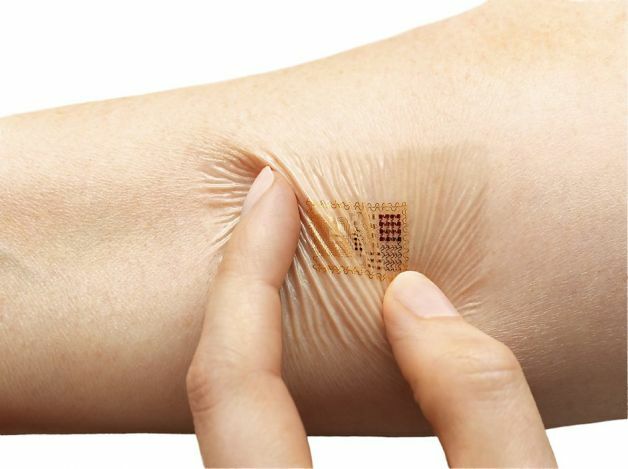 Korean researchers have developed a flexible strip that can detect tiny movements, deliver drugs, and store all necessary data. This has not been tested on human patients yet, just Pig Skin. These wearable devices are accessories to add to your Spring Collection this year!